Alright guys, what does this look like? Nothing dripping yet. 75K miles 2007 Odyssey. 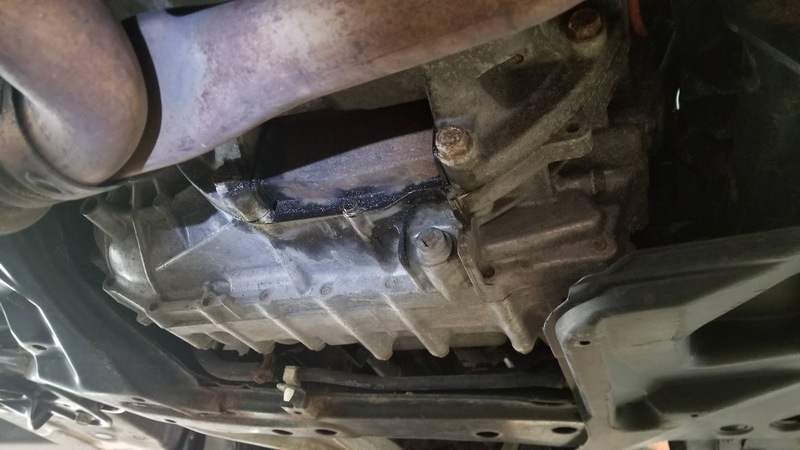 Is that the rear main seal cover? If it is, you can take off that cover and see what's going on within. Ugh... not gonna deal with rear main seal. Anyone have any experience with rear main seal leak additives? Edit: Some older posts are suggesting checking PCV valve. Will check that first and then consider ATP AT-205. Last edited by taz1004; 04-13-2019 at 07:10 PM. PCV indeed is clogged. Will replace it and see. I had an almost identical leak and changed the PCV. The leak stopped and that was a little over 1 year ago.